We are living in a digital age of instant gratification. Thirty million songs can be accessed with a swipe of our smartphone on the Spotify app. Meanwhile, Netflix will ensure you can binge through an entire season of a TV series rather than wait for next week’s episode. If there is an item you want in a hurry, in some cases, Amazon will get it to you within two hours! According to recent research, Generation Z currently spends 10.6 hours engaging with online content every day. I have started to notice as I type this that I am increasingly feeling frustrated that my fingers cannot type as fast as I want to write. I found myself questioning the long-term effects of consuming too much information. As someone who both creates and consumes a barrage of content every day, I have noticed that I am developing an almost insatiable thirst to consume information and also produce content. I am passionate about technology, and when not writing about it for a living, I am hosting a daily podcast about how tech is transforming multiple industries. Anyone who has endlessly scrolled down a newsfeed only for it to reset after a few minutes is offered a timely reminder of just how much content they consumed without even realizing it. When we leave our home, any question or heated debate can now be disappointingly settled with a quick Google search or by asking Siri. I also recently read a conversation on Reddit where users were proudly discussing a life hack to be more productive by listening to podcasts and audiobooks at 4x speed. The idea was to consume and digest even more content more quickly and level-up like in a video game. However, I found myself wanting to explore the subject further and was more than a little surprised after discovering a few revelations about the people who have created the technology that has engulfed our lives. Shortly afterward, I found myself getting lost in a spiral of theories and questioning why Mark Zuckerberg covers up the microphone and webcam on his laptop, as does the director of the FBI. Right on cue, my Amazon Echo device kicked in, and Alexa played a song without my requesting it. Consider me officially spooked, but I guess, it could have been much worse. For a moment, I felt an epiphany where I was surrounded by people looking at their smartphones like the White Bear episode of Black Mirror. Meanwhile, our tech overlords shield their families from the effects of their creation. What should I do next? I decided to write about it. There are few things more heartbreaking than observing a parent ignoring their child in public. The moment where a toddler continues pulling on their clothes and desperately vying for attention, but they carry on scrolling oblivious to their surroundings. However, it’s not all doom and gloom, there is still hope. 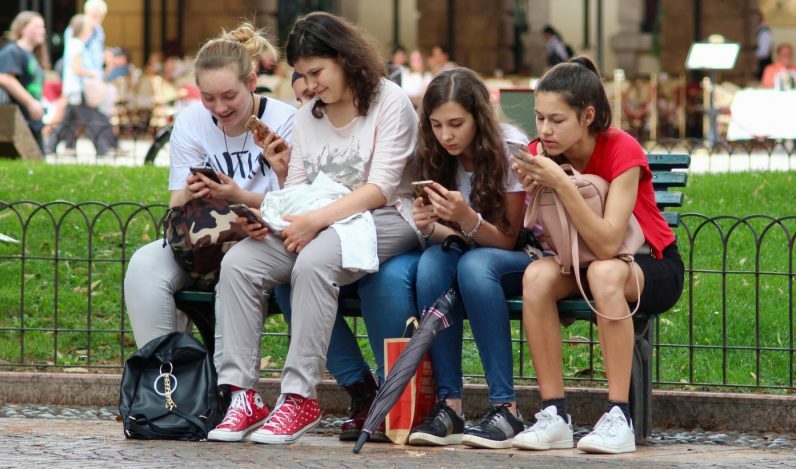 There is a growing number of tech-savvy teens who understand that the likes of Facebook and Instagram are designed to be addictive by delivering a shot of dopamine in the same way as a slot machine in a Las Vegas casino and are choosing to log off from social media entirely. The biggest casualty of our digital lifestyle is boredom and the ability to let our mind wander or daydream. When we just sit and reflect about our day away from the smartphone screen, the real magic happens. By eradicating those bite-sized moments of downtime, we are losing the ability to foster creative thinking and those moments of inspiration that only arrive when we are simply looking, listening, staring into space or making things. As someone who spends 14 hours a day staring at a screen, I cannot take the high moral ground, but as I look around at others doing the same, I am increasingly asking myself, what is it doing to us? But maybe it’s just another example of the many digital contradictions that rule our lives, so for now, I will take off my tinfoil hat and carry on as normal.